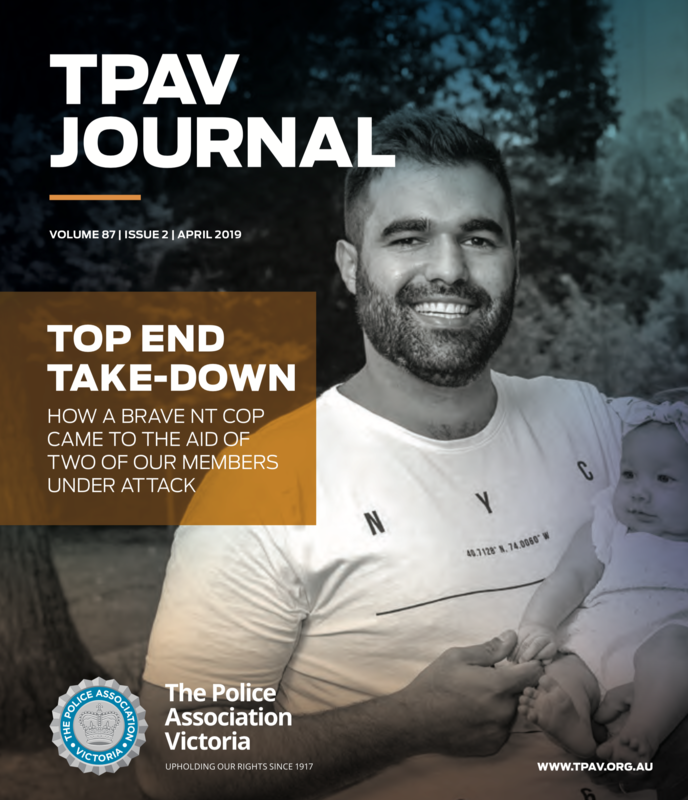 In this edition of the TPAV Journal, we reveal the role of Northern Territory police constable Lucas- John O’Donoghue in helping to end the brutal assault of two Victorian members in St Kilda in February. Lucas was in Melbourne to see a concert when he witnessed the shocking attack unfold on Fitzroy Street. Despite the very real personal risk he faced, the 26-year-old father of three immobilised one of the chief offenders and helped to arrest another. His bravery was honoured at last month’s TPAV Delegates’ Conference with a certificate of recognition and a standing ovation from the gathered delegates. Another young member making his mark is Harrison Phillips, who, at 26, is one of the youngest police prosecutors in Victoria Police. Harrison was inspired to become a prosecutor after gaining an appreciation for the work of police on the van and first responders. He tells the TPAV Journal that through his role, he wants to ensure the important work they do isn’t in vain when their cases reach court. The important work that all of our members perform should never be undersold, particularly as we gear up for EBA negotiations. Inside, we outline what lies ahead in the coming months in our quest to improve our members’ working lives. TPAV will be meeting with members in more than 140 workplaces across April and May to talk about our plans to improve members’ pay and conditions as part of our EBA negotiations to commence later this year. These plans are documented in our proposed log of clams document which is borne out direct feedback we’ve received from members since the current EBA agreement took effect nearly four years ago. This feedback has come in many forms – from thousands of phone calls and emails were received from members to the several hundred workplace meetings we’ve conducted around the state over the last three years. Also in this month’s edition, we highlight the important working relationship The Association has fostered with the Rail Tram and Bus Union. The two unions have formed an important partnership borne out of the recent expansion of the role of our PSO members onto trains. Finally, you may have noticed that the TPAV Journal has undergone something of a makeover. We’re always looking to improve our Journal in all respects and our fresh new look-and-feel is part of this commitment. We hope you like it. Above all, we, as much as ever, intend to continue the same commitment we’ve shown over the past 101 years toward ensuring that our iconic TPAV Journal remains a publication that’s primarily about informing our members about the issues that are most important to them in their workplace. If you have any story suggestions for The Journal, simply send us an email at journal@tpav.org.au.